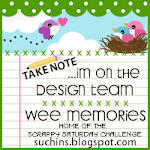 Crafty Girl Designs: Wee Memories April Blog Hop! Hello! So happy that Saturday is here again! And with it brings another great Scrappy Saturday Challenge! 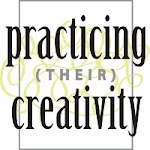 This week we are doing our monthly blog hop and I am so happy that you are here! You should have arrived here from our guest Designer this month, Nerina! If you get lost or find a broken connection please check back with the Wee Memories blog! 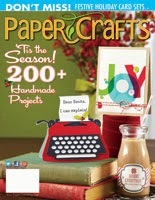 This week our sponsor is Nikki Sivils Scrapbooker! We have a really fun color inspiration challenge this week! Just find some color inspiration from the challenge badge, easy! We were provided with some paper from Nikki Sivis and I made two cards with it! For the first card I embossed the flower by Hero Arts in chestnut embossing powder. I distressed the edges and stamped a thank you sentiment from HA too. I finished it with some bright yellow twine by the Twinery! For the second card I let the patterned paper stand out. I distressed all edges with a TH distresser and vintage photo ink. I stamped another thank you sentiment from HA and added some ribbon and a button! I hope you enjoyed my cards! Thank you so much for stopping by today and I very much appreciate your comments! Your next stop is ANN! This challenge is open until Friday April 7th 11:59 pst! Hope you have a great weekend! I love your colour combos here Anita! Gorgeous second card with really lovely paper! 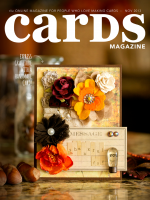 fabulous cards...both are just super! Darling cards! Love the embossing! I love these soft, muted colors. They are so beautiful! I like how you created 2 cards with the same palette, but they are so different from each other. I love the muted colours of both of these - but have to say that the darling little trees in two scales in the second one just makes me smile!! Sooooo cute! love both cards! great use of the pp! These are so elegant and pretty! I love the trees on that second card!! These are both very pretty Anita. I love Nikki's papers too, and that inspiration photo. These are fabulous cards, Anita! These are so pretty, Anita! I especially love that second one - the little tree scene is so sweet! Pretty cards and love the pattern paper especially on the second one. both are just beautiful Anita. i definately love that paper! you are so talented, i really dig both cards! Love both of your cards! The flower in the first one stands out, and the paper on the second card makes the card. Awesome cards!!! Love your cards Anita, they have a vintage feel to them with the colours you have used. I like that look. I love the colors on these cards. That green color is beautiful! Great job on both cards, love the natural look. Wonderful cards with such a warm natural feel! Sweet cards, Anita! I love the clean and simple one at the top with the yellow twine! I love the clean elegance of your first card and the whimsical trees on the 2nd card is just too cute! Both of these cards are great but I really love everything about the first one!